Give 12 months of online yoga for just $45 (70% off)! Save over $100 on the perfect Mother's Day gift! MyYogaWorks is a beautifully curated online yoga experience featuring over 1,200+ yoga classes. Stream from a laptop, tablet, phone or TV - anytime, anywhere. 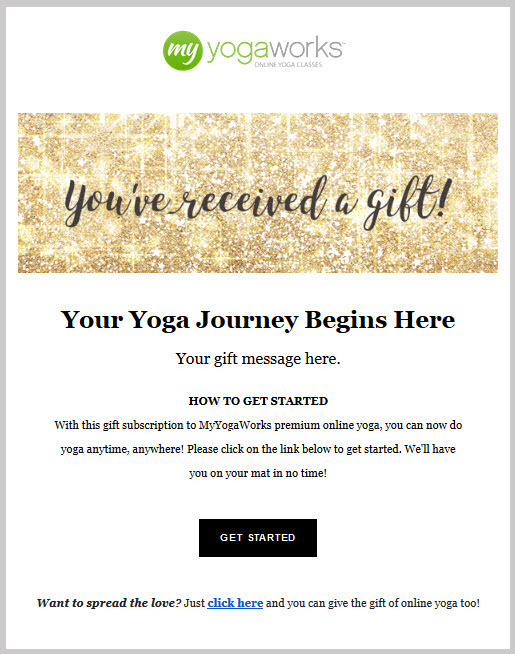 MyYogaWorks is the perfect gift for everyone! Gift subscriptions are valid for new users only. Feel free to check if your giftee is eligible by entering his or her email below. If you elect to send the gift 'Today', the gift email will be sent immediately. If you elect to send the gift at a future date, the gift email will be sent at 6am PST of the day you choose.